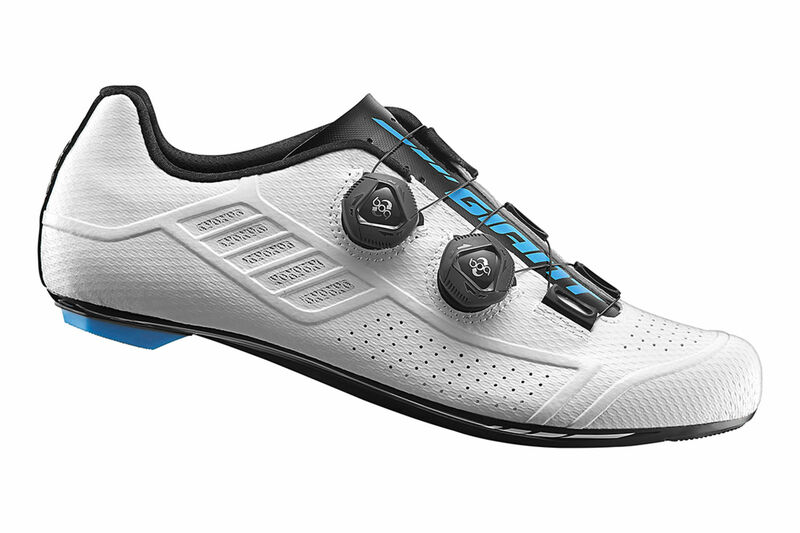 From the climbs to the sprints, the new Conduit offers a powerful connection between you and your bike, maximizing every watt of energy you produce. 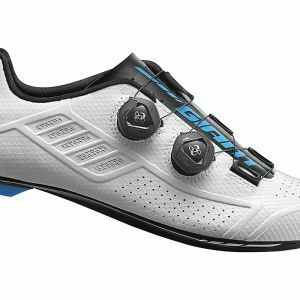 With a lightweight upper, stiff carbon outsole and precise fit system, it's the spark you need to ride faster and farther. 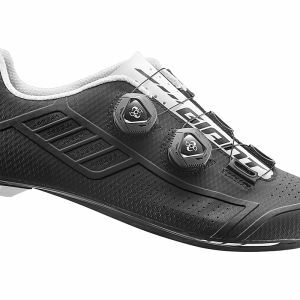 • Force Drive FULL CARBON outsole, with the Streamlined Tread & anti-slip Replaceable Heel Rubber studs. 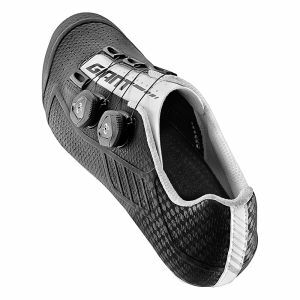 • 2Density EgroComfor footbed, TransTexturaPlus anti-odor Tech. 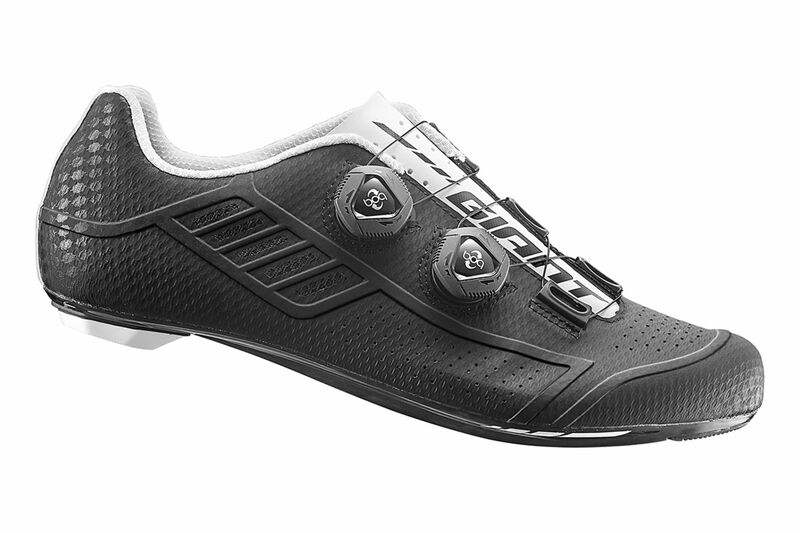 Designed with a full carbon outsole and 5-vent cooling system, plus the precision fit of the Boa closure system, the Conduit road shoe delivers comfort, fit and efficiency on the road. 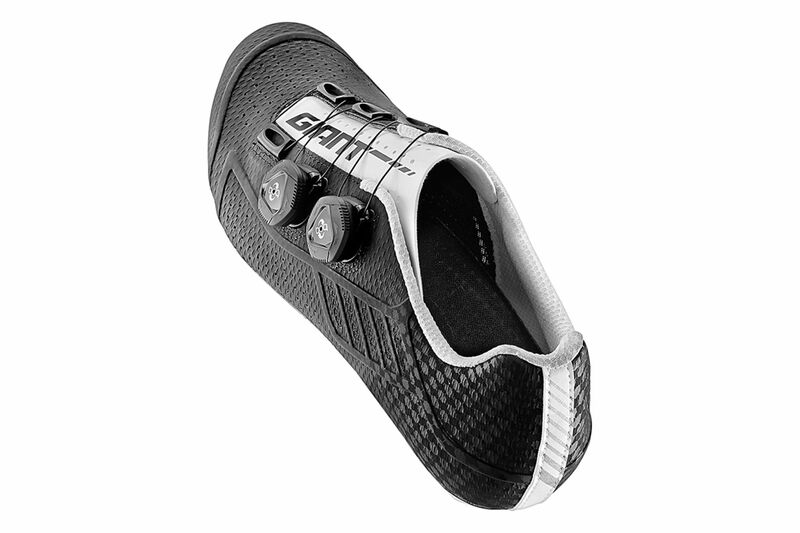 A seamless lightweight mesh featuring a TPU coating is designed and optimized for a light, flexible, and comfortable upper to produce optimal ventilation and support. 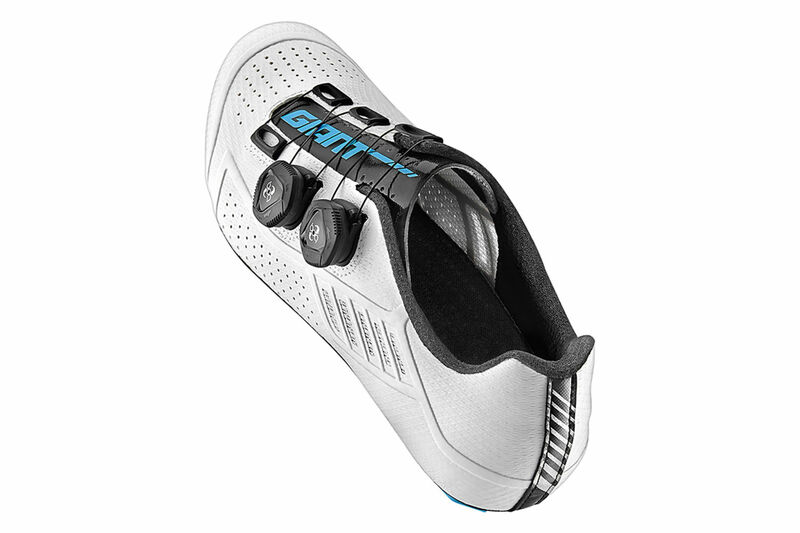 Giant’s Full Force carbon outsole is designed for optimal power transfer and the AirStream 5-Vent Cooling System in the front, middle and back areas prevent your feet from overheating. 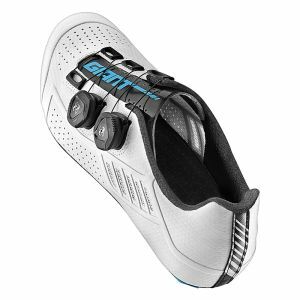 The award-winning, patented Boa system provides custom comfort with smooth, even closure that is lightweight, durable and intuitive. A quick, convenient turn of a knob lets you dial in the perfect fit without the added weight and hassles of other closure systems. 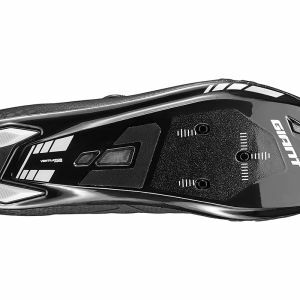 Injection-molded TPU elements in both the heel and toe areas provide traction and help protect the carbon outsole while off the bike. The rear TPU element is also replaceable. 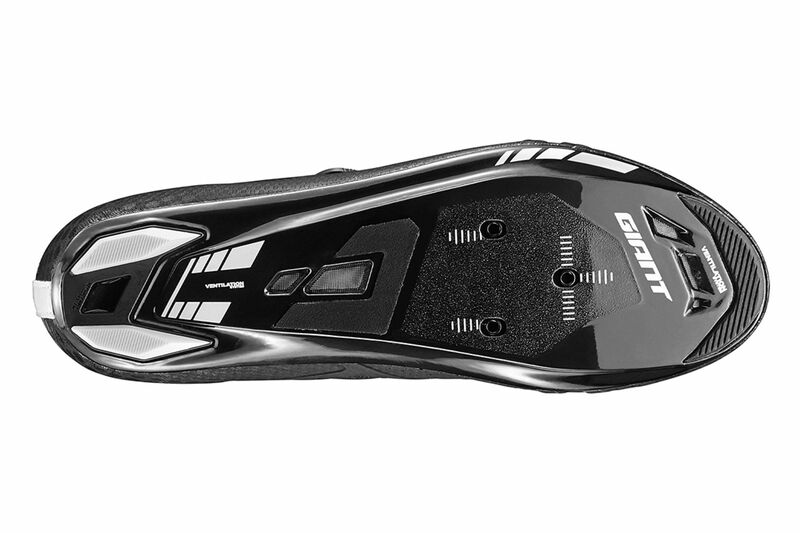 The 2-density ErgoComfort insoles provide optimal support and vibration damping. The TransTextura Plus lining provides moisture transfer, and its antibacterial properties help fight odors.